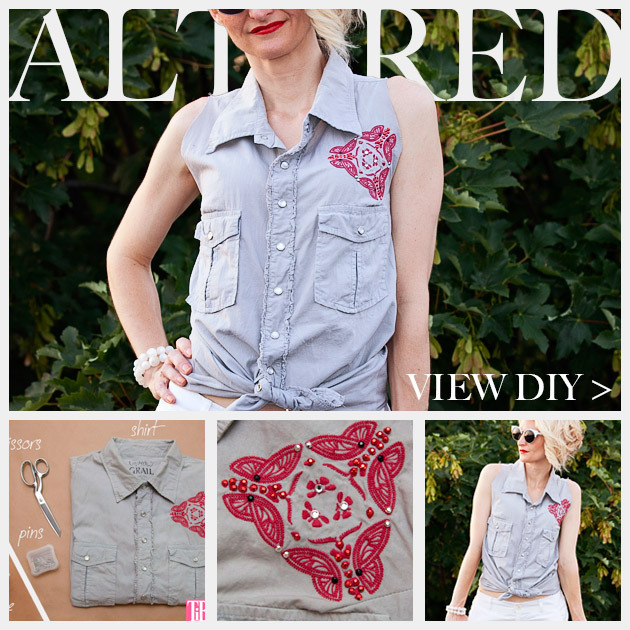 A few tucks, take in the seams and you can create a fun and on trend shirt with this DIY tutorial showing you How to Alter a Mans Shirt into a Cute Summer Top. 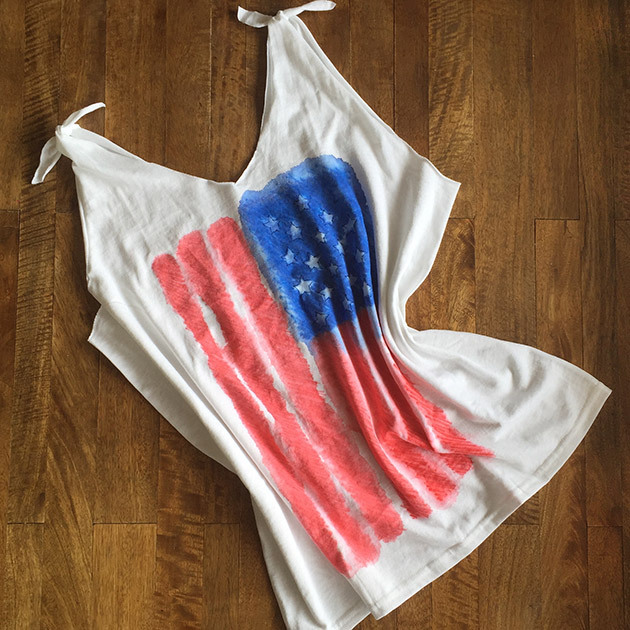 Lay your shirt out flat and cut off the sleeves. I cut mine off on the inside of the seams. TIP: Try your shirt on frequently to make sure the fit is right and to see if you need to cut more. You can see I took mine in a little more here. I took mine in enough to make it fitted but not too tight. 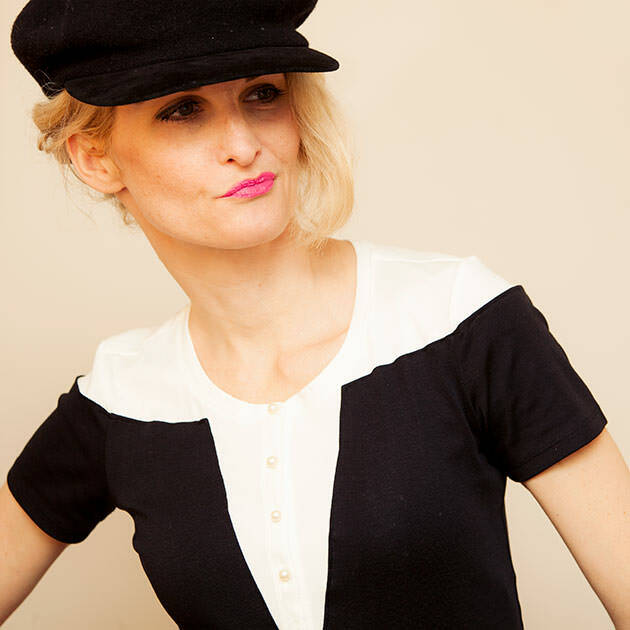 When you have both sides pinned where you want your seams to be, using your sewing machine sew a seam down either side of your shirt where you pinned it. 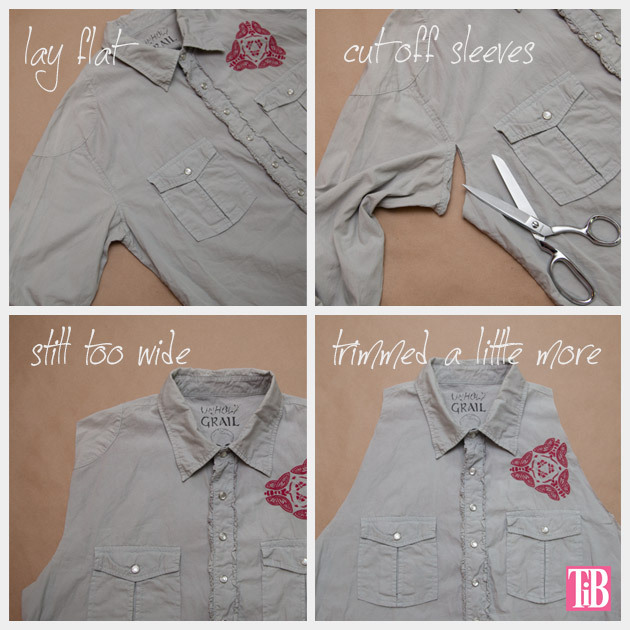 Before you cut off any extra fabric try your shirt on right side out to check the fit. 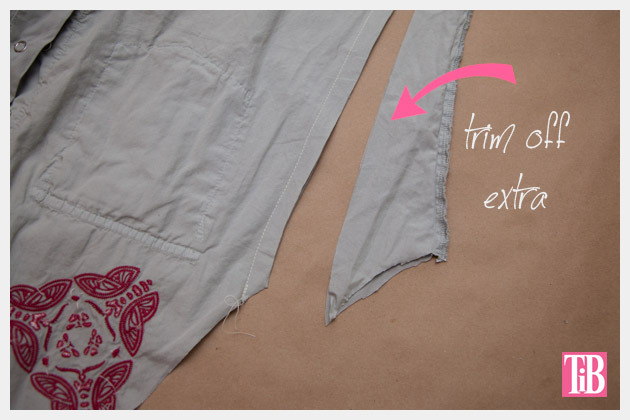 If you like where your seams are go ahead and trim off any excess fabric. If you need to change your seams either sew it in closer or rip it out and sew it again looser depending on how you want it to fit. 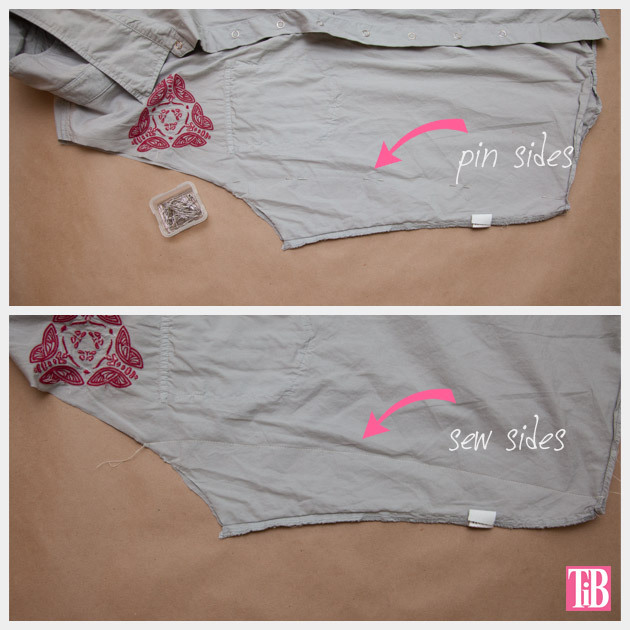 After you cut off the extra fabric try it on again right side out and see if you need to put any darts or tucks anywhere. 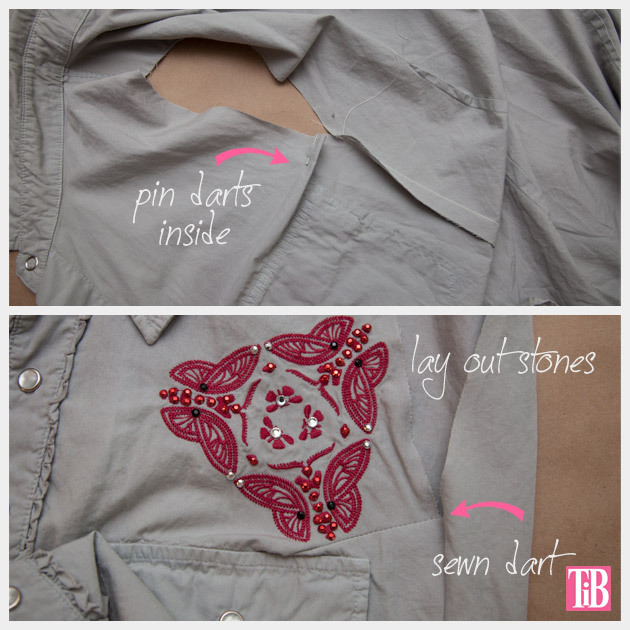 I put two small darts on either side of the bust just above the pockets. I did this because I was getting some gaping fabric around the arm holes. 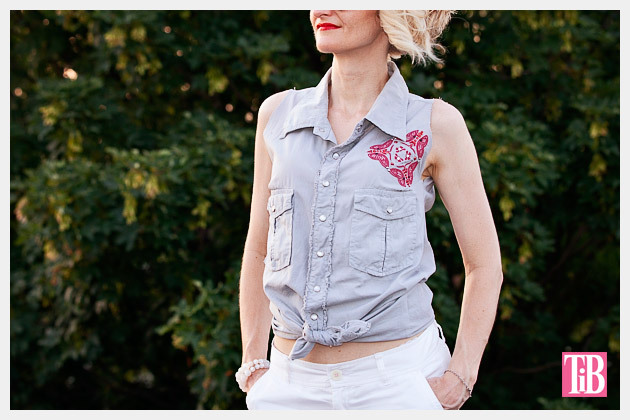 The shirt I used has an embroidery patch on the chest which I embellished with some rhinestones and nailheads. 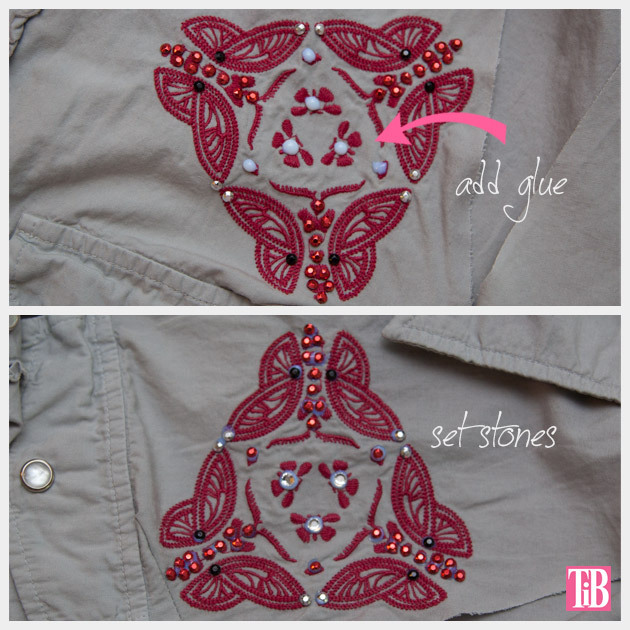 Lay your rhinestones and nailheads out on your shirt where you want them and take a picture with your phone (just in case you want to try another way or to make sure you dont forget). I used Aleenes Jewel-it glue to glue my stones on. This stuff holds really well. Ive used this on many other projects and you can wash it and they stay on really well. 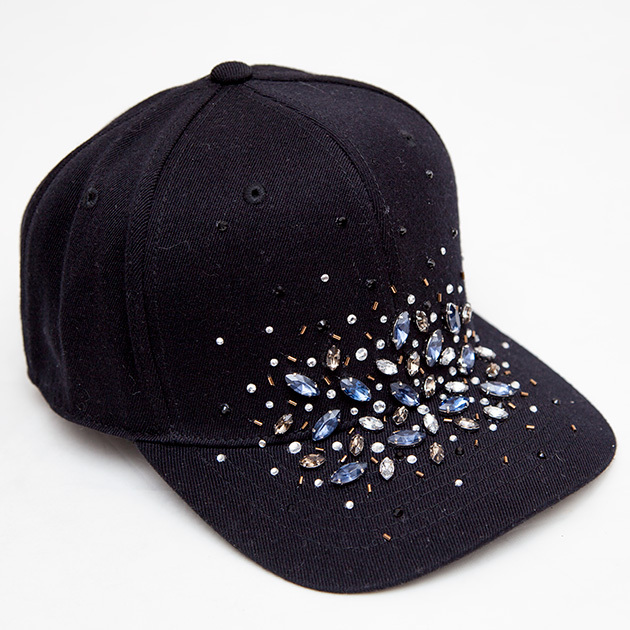 If you dont want to add rhinestones you could just wear a brooch with this shirt or leave it plain depending on the style of your shirt and your taste. 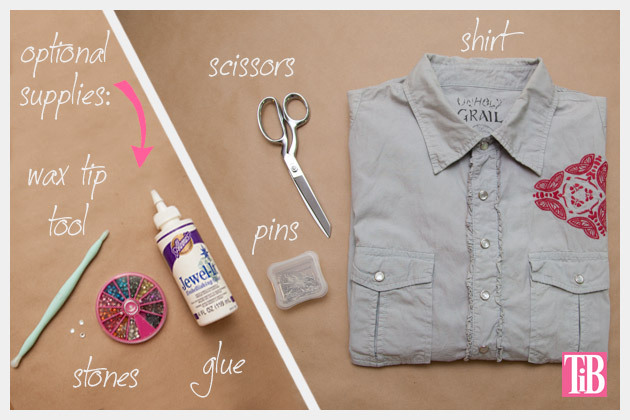 It doesnt take much to alter a mans shirt to make it cute and wearable for you! 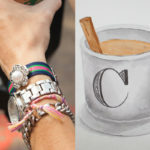 Be sure to add your own embellishment and make it your own! The sunglasses I’m wearing are courtesy of Sunglass Warehouse.